You approach your décor with a sense of purpose, style and aesthetics. You’re not building a room, you’re creating a feeling. We understand that your bedroom furniture, including accent chests, is much more than props used to cover bare walls. Each plays a key part in your design, whether as the lead or in a supporting role. 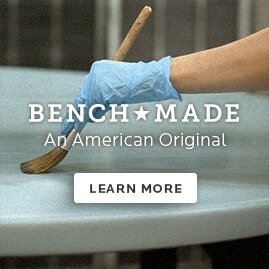 At Bassett, we design furniture so you can make it custom to match your décor. Take a look at the latest accent chests from the Bassett collection of fine chests and bureaus and we think you’ll agree. Finding the right accent chest to match an already existing decorating plan can be a problem. Often, it requires several visits to several furniture stores. Even then, you may be no closer to finding the matching furniture piece than when you started. Our custom design program gives you full creative control on certain models of our accent chests. Now, you have as much input in the design of your new accent chest as you want. Choose from a wide selection of style and finish options and place your very own stamp on your new furniture design.